Content curation is a time consuming affair and in today’s fast life, who has that much time to spare? It is a tedious job for many people, but not when you have some tools ready to be used for the process of content curation. 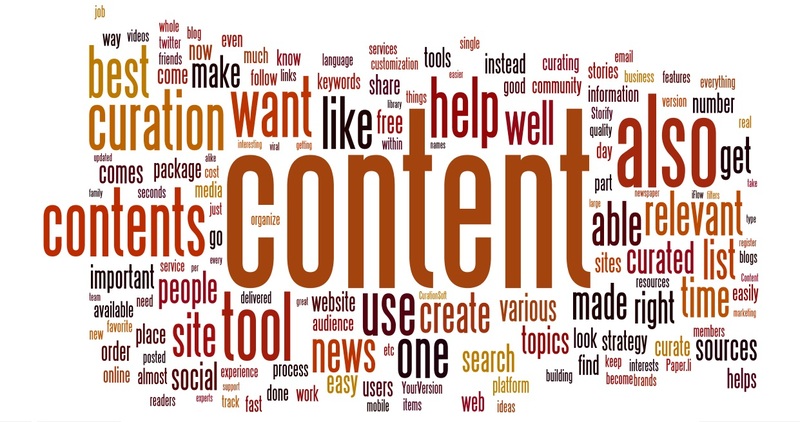 Here is a list of content curation tools that are considered to be the best in the game. Social media is too active and if you want to be a part of this, then it is important that you become a little bit more agile, and scoop out the best content for your users. The curation of content is an old idea, but with the help of various tools that are available online, things have become much easier now. 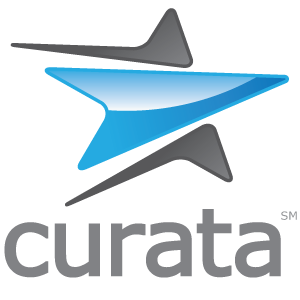 In order to make the Content Marketing strategy successful Curata is one tool which seems must for everybody. This content curation software is counted in one of the best providers of business grade, which curates, creates, organizes, shares and annotates the best quality content that are relevant too. If you take the help of this, then you will be able to be part of the content marketing strategy successfully. It comes up with curated content anytime you want, and you can access it from anywhere as well. It is good if you are handling large scale contents. In here you select specific topics and then create content around it. You can also follow people out there who have been scooping up things for you, but only if you like their work. It is not a machine instead a group of people, who are doing the job for you. When time is a constraint this curation tool really proves to be very useful, as in no time they come out with relevant contents for your website. In Scoop.it, if you are in company with the right kind of people, then you will not only receive the right content, but will also save a lot of time of yours. Your users will be hugely benefitted by your effort because now they don’t have to go through all the contents, instead can refer to only the best ones that have been updated by you on your site. Through this content curation tool you will be able to prepare a list which may contain text, images or even videos. Once you create the list, now it is open for the other community members to rank it. They can either vote it up or vote it down, depending on their preference. If required the other community members can also contribute to the list by adding up some more items. Therefore, instead of a single person a whole community will be curating a list for your website. In case you are in a hurry then you can make use of already curated lists. If you want to get the best list, then you need to look for someone in here, who knows their job very well and is an expert in producing relevant content. This one collects your resources and then organizes them properly to help you leave a good impression on your viewers. There are more than 1 million curated resources ready to be explored. So you can just type in your topic and you will be surprised to see the number of search results. You can register for free of cost and it will help you in building a binder for the curation of content. If you want something to work on your behalf the whole day, so that it can keep on producing some of the most interesting content for your users, then MyCurator is the place to be in. The content curation is completed very quickly and then with the help of this amazing feature, which is known as Get It Bookmarklet, it can curate contents, while you are browsing the web. If you want to know how it works, then here is a sneak peek into the matter. The list or paragraph or image or for that matter even tables can be included in your blog through a single click. There is no need to carry out search every time you are there, instead it will do it pro – actively for you. There is no language restriction in here, as the content curation can be done in almost any language you want and it will be posted on your site in your native language as well. You can go for the paid version, but if you want, you can take the 30 day free trial of one package that is on offer and if you like then you can opt for that package. It helps you in tracking people who are making news. 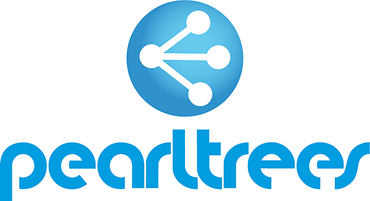 This tool searches through various new sites to look out for people, whom you know through social networking sites. This will come up with a summary email providing you with the information about where they are creating the entire buzz. Through this way, it comes up with content which you are not even aware of. ContentGems works round the clock for you. It monitors some of the best sources online, like the blogs, news sources and the social media as well. Depending on your keywords and social signals, it then filters out the content that is suitable for you. You can receive email digest if you want, as that will be of much relevance to you. It is like a social library which will help you in building content to keep it private or share it with your audience. It is a content pinning library, where you can search for items that you like. Here, you will be able to discover new trends, ideas, etc. that have been updated by the members of the community. This one is great for fashion ideas or design ideas, and can have them bookmarked too. Direct image upload is also allowed to make things easier for you. This tool comes free of cost but if you want, you can upgrade to Storify VIP for all the recent updates and the option of full customization. Through Storify you can share any story you like, starting from News to conferences to government to brands and NGOs. Make use of your relevant keywords and start curating contents that you can embed on your website. Now it is officially a twitter certified item. It is counted as one of the best services that you can use in your business to influence the storytelling on twitter. Some of the big names in the industry like Yahoo! HBO, BBC, etc. use it. It is the number one tool to curate content from various sources like Facebook, Google Plus, Amazon, Ebay, Instagram, Wikipedia, Flickr, Twitter, YouTube, etc. It is a long list and that is the reason it has been on top of its position and is referred frequently for authority posts and thought leadership. CurationSoft helps you get better ranking by building good back links. Moreover, you can put to use this tool to use on any platform you want and it will work effortlessly. It is fast and quite simple to use. Spike up your life through this tool which provides you with viral stories that are about to make the mark on the news platform. Apart from curating, you can also use this tool to track the performance of your competitor in real time. It will also help you in sharing the contents that your audience will love to go through. In fact, it will also help you make the content go viral which you find is important for everybody. By updating stories that will engage your readers, you will be able to increase your viewership by more than 100%. Through this tool you will be able to search through various topics and create a content which will be apt for your readers. This Curation tool has made the process of curation very simple and it comes with various features stuffed in it. You just need to click a single button, and you will be handed over a large number of curated content, that are relevant to your site. It has a plugin version and is designed to convert as well. It also offers a 30 day money back guarantee in case you do not like what they have to offer you. If you fear of running an empty blog, then make use of CurationTraffic to fill up your page efficiently. Through Tagboard, you will be able to search contents, then select it and finally post it. It uses hashtags to look for contents within seconds after being posted on social media sites. Several tools are made available to look for content specific to your needs that can be posted on your website. Finding relevant information is difficult if you do not have supporting tools, but with Trapit you will be able to curate contents quite easily. Not only that, it also empowers brands, teams and publishers come up with their side of the story through curated contents, out of the best web sources. In here, it is a combination of both artificial intelligence as well as curation of content by human, so that they can come up with high quality and original content which your viewers will absolutely like to read. More than 100,000 sources are searched for, in order to get meaningful contents. The sources include journals, blogs, news services, magazines, podcasts and videos. You can send the content to the right kind of people and to almost every device. It will also help you in engaging your audience by coming up with great content which is true to your voice. Staying on track is made easy through reports and analytics. You will be able to understand which track of yours is doing well amongst your readers. So with Trapit you can now shape up the content strategy of yours. It is one of the search platforms where user indexed search is carried out. In here the expert curators of the content, organize, tag, comment and also publish the research. This research content will support the strategy of the content marketing. There is a huge list of topics that can be searched in here. If you know what you are looking for then you will have it right here. Summify is joining twitter in order to make the experience even better. It will come up with a beautiful summary of all the relevant news. Therefore the news that appears on social networking sites will be summed up with this tool and delivered right to your email or mobile inbox. It helps in deciding what is important and allows you to ignore all kinds of feed, so that you can be productive once again. It is one of those platforms which takes care of what you want and delivers the most relevant news to you right at your door step. Sharing content has become a common practice, but Storyful takes it a step forward and searches for stories that are really worth it. It discovers the stories with the help of a technology, that monitors the social web in real time. It also acquires rights for all the videos that you want to use on your site. The Breaking news are well curated and that too very fast. Engaging events in real time and also identifying the emerging trends is part of the tool. If you want to have fresh and relevant content on the web then make use of this tool. You can compare this to another tool Paper.li, because the features that are present here are almost alike. If you are writing blogs on newspaper, then this will help you create your own blog with content targeted at your audience. If you compare it to the Paper.li, you will find that it has much more customization options. With the help of customization, you can actually re-invent the contents and create it in your own way for your site. It comes up with some of the hottest topics of the day, starting from Obama to Syria to Modern family and Game of Thrones. You can easily get all the relevant topics curated by the experts and delivered right in your inbox. Be it sports or gadgets, there are experts who will be curating contents for you with regards to the keywords that you type in. It scans your favorite sites within seconds, and it also helps you in storing the favorite news in the folders that can be quickly tracked down. Apart from this facility, you are provided with a list, which you can share with your family and friends as well. It provides you services free of cost. It is termed as the new way of discovering news, and you can also look for article suggestions which are provided by your friends. What this platform does for you is, find you content and through that, it finds more people for your site. Curation and aggregation are done together to achieve maximum benefit. Within few seconds you will be able to create your own portal for custom news. It comes with rich curation controls that help you in getting the best and nothing less than that. Make use of keywords to find the best curated content. Discover the content that you care about by using YourVersion. You can also bookmark the pages that you like. Organizing everything is made easy by doing it automatically. It is the best part of this site, as it doesn’t allow you to do any work, instead everything is done by YourVersion. Sharing and enhancing the browsing is made easy for you. Sum up the best links and create a focused bag. Curating with BagTheWeb means that, you have a hybrid media which helps in organizing the links that you feel are important and interesting into one cohesive unit. You can register with the site any time you want and share your bags with friends and families. You can now organize the bagged items in various sections and also format the notes using Markdown. It is said to be the place for interests sharing, where you can explore, organize and share almost anything that you like. You can add in the web pages, photos, files along with the notes very easily and conveniently. Organizing the collections of all the favorite topics in one place is made easy, along with that, you can explore millions of your interests already collected and made available for you. An account can be created very swiftly to store all your interests. Here you can create, follow and curate any topic you want. It is always advisable that you follow something that matters and not just follow the crowd. Elevate the process of curation through iFlow. 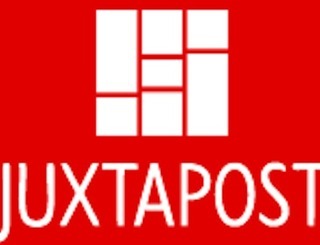 You will be able to experience the most powerful curation of content experience online. Stay in touch with flow without getting drowned in the pool of information. It is the place where you will find everything that you like. You will have to pick up the channels that you are interested in, throughout the world or your country or your city. The package that you get in here is free of junk and you will get clear topics only. You can watch, listen and read all that is on air right at the moment. Some of the premium features that you will get in Bundlr are delivered within the price of $19.99 per year. There is no ad involved in this so you get uninterrupted service all the way. It easily syncs with Dropbox, where you can keep the bundles and also clips offline. You will also get priority customer service from the support team very fast. You will be made available with the statistics, where you will know the number of visitors to your site, and the number of followers will also be known to you through this site. You can either go for the priced package or you can first try out the free version, and once you are satisfied with the service you can opt for the paid package. Social magazines are powered up and it also powers apps, including some websites for the brands. Combining editorial is made easy. You can also curate contents, and optimize the contents for mobile users and tablet users alike. You can use it on mobile as well as desktop and the tablet too. Integration of an existing website or app has been done seamlessly. The team of Flockler will guide you through the whole process. Most important thing is that you don’t have to be technically sound in order to use this. A professional content platform, where it will tap in the asset of contents from various resources. With the help of this, you will be able to create and deliver high quality contents. Another good thing about this site is that, it has the ability to monetize your content as well. The content strategy will be aligned to the business objectives of yours and this has never been so easy earlier. It is one of the smartest tools that you can lay your hand on. This is the tool for creating own newspaper online, based on the content that is selected by you personally. Here you specify filters and also add different sources in order to produce a paper. Once it is selected, you can customize the paper as per your preference. With the help of this tool, you can create newsletter for your subscribers or you can have the newsletter prepared for yourself with all the relevant and important information stored in one place. I use Flipboard but after went through this post I got quite keen of trying atleast few of those tools mentioned above. I agree creating and tracking content can be very time consuming in todays fast pace society and using a creation tool makes it very easy. My favorite creation tool to use is Opentopic. With Opentopic’s content marketing software I can use it for content discovery, content curation, content publishing, content analytics, and newsletter creation to cover all my content marketing needs. Then once the content is live, Opentopic’s content analytics capabilities will helps me evaluate and monitor engagement and performance. It is definitely a great tool to use.